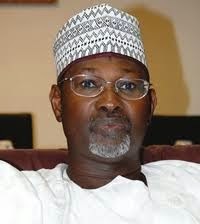 A Federal High Court sitting in Abuja has granted an order to serve notice of contempt of court proceedings to the Independent National Electoral Commission’s Chairman, Professor Attahiru Jega, for failure to register the Democratic People’s Party (DPP) as a political party. Justice Gabriel Kolawale who gave the order in Abuja also directed Professor Jega to take remedial steps to register the DPP within 72 hours. The presiding judge said if the INEC boss failed to obey the order of court within 72 hours, he should be served with Form 49, which is a notice to show cause why he should not be committed to prison. Justice Kolawole subsequently adjourned hearing on the contempt proceedings to the 23rd December 2014.